In 1914, after World War 1 was declared, many young Australian men answered the call to “do their duty” and enlisted in the armed forces to fight for their country. A large number served in foreign countries and were killed or injured. By September 1915 wounded and invalid soldiers were returning to Australia from Gallipoli, on transport hospital ships that steamed up Hobson’s Bay to come alongside Port Melbourne Pier. The men began to disembark with most capable of walking off the ships. Some were transported to their destination in the 120 cars that had been marshalled near the Pier. Motor ambulances were requisitioned for the limbless and convalescents, to be taken to Mont Park and other hospitals. Along the route through the city, the Metropolitan Fire Department Band played “Tipperary” to a hearty welcome from the public, flags were flying on almost every building in the main streets. To arouse more enthusiasm in the hearts of the gathered onlookers in the city, choirs sang patriotic songs at the G.P.O, Town Hall and “under the clocks” at Flinders St Station. 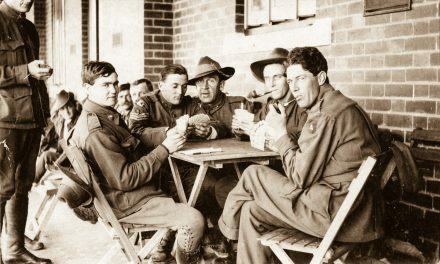 Members of the Ladies Welcome Committee provided sandwiches, fruit and lollies to the returned soldiers. 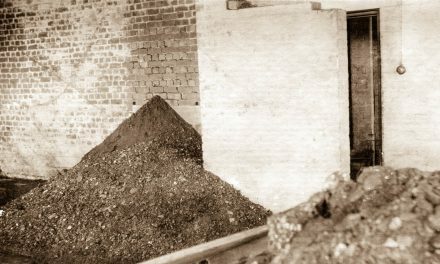 A railway branch line had been built 1911, from Macleod Station to serve the Mont Park Asylum Complex, with construction expense met by the Victorian Government Health Department. It was a single track goods line, with a grade of 1 in 30. What was at Mont Park? 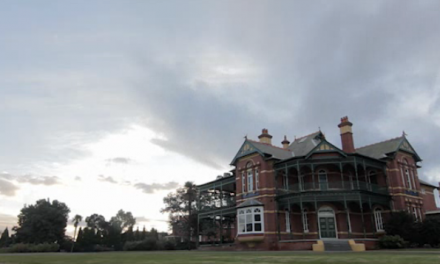 The Mont Park Estate was the property of the Victorian Lunacy Department, and the hospital put at the disposal of the Defence Department, as a convalescent home for sick and wounded soldiers. Initially the returned soldiers were accommodated in a newly built Laundry Workers Block, a large two story red brick building, designated by the Military as No 14 Australian Auxiliary Hospital, containing eight wards, three on the ground fl oor and fi ve upstairs. There was electric lighting, a good water supply from a water tank on Gresswell Hill (built in 1912 by John Monash) and a modern system of sewerage. 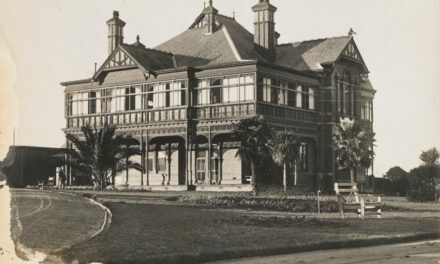 The building also included quarters for the doctors, nurses and orderlies and a large sunny dining room. The accommodation was for 102 patients, but by September 1915, 136 servicemen, from the 309 first wounded at Gallipoli were admitted to convalesce. The Laundry Workers Block (No 14 Australian Auxiliary Hospital) was now too small to accommodate all the patients and they were transferred to the recently built “Chronic Block” known as No 16 Australian General Hospital. The building of the “Chronic Block” was started in 1916 and completed 1917. The buildings consisted of twelve red brick adjoined two-story blocks, six on each side of central Headquarters Block, in a crescent shape. The complete group of buildings designed for the ultimate accommodation of 800 to 1000 patients. The buildings were erected to latest hospital designs, large and airy, and heated by steam and wood fires. An immense engine room held 2 large steam engines, which besides providing power for the dynamos that supply the electric light for the building, also generated sufficient steam for the kitchen requirements. The kitchen had 10 or 12 enormous copper boilers heated by steam, also a butcher’s shop, vegetable room and a baking room with large ovens. 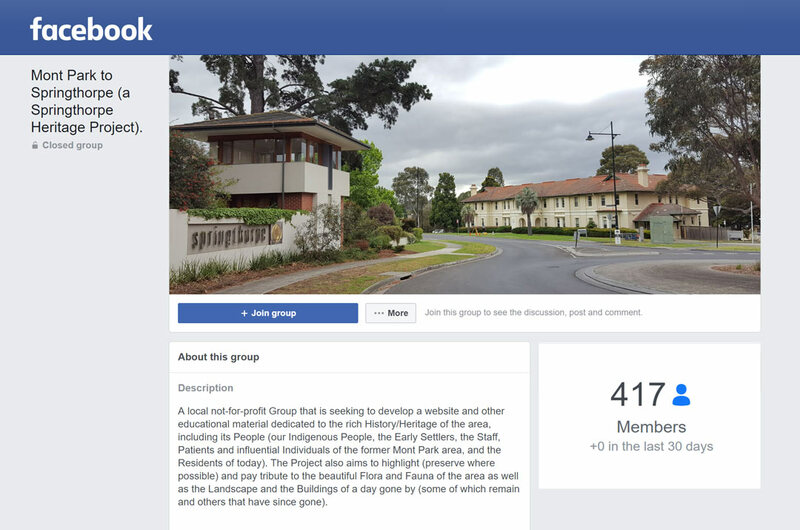 Many visitors were surprised at the dimensions and modern arrangements of the Australian General Hospital No 16. A splendid concert hall and recreation room was provided by the Red Cross Society and used for social evenings and church services on Sundays. There was also a gymnasium, billiard table and a library. If cot cases were unable to come to the library, they were waited upon by the librarian. These buildings were situated at a convenient distance from the main structure, and next to the Y.M.C.A building. In the hall was a handsome cabinet organ, presented by and bearing the inscription “Given by the Deniliquin Branch of the Red Cross Society”. This original hall was destroyed by fire February 1925 later to be replaced by the “Spanish Mission style” Ernest Jones Hall, opened June 1930. Comparatively few of the patients were always confined to bed and could be seen strolling around the park or sitting on easy chairs. In the orthopaedic department various mechanical and electrical appliances were installed for the purpose of helping the disabled soldier to regain the normal use of his physical powers. The patients received the best medical treatment available and were cared for by dedicated doctors and nurses. Chaplains were available for spiritual welfare if needed. During their time at Mont Park soldiers were under military care and wore their uniforms every day, unless confined to bed. The cots in each dormitory were covered with white quilts, a large red cross embroidered in the centre of each quilt. Nurse’s uniforms and hospital screens also had distinctive large red crosses on them. The Military Mental Hospital was built to accommodate 84 patients. The construction of a separate Military Mental Hospital was in response to pressure from the returned servicemen’s organisations, removing them from the general psychiatric patients. A tent camp was erected on Mount Sugarloaf for tuberculosis and influenza patients. It was firmly believed in the efficiency of the open air treatment for consumptives. No 1 Military Sanatorium building was erected in 1918. 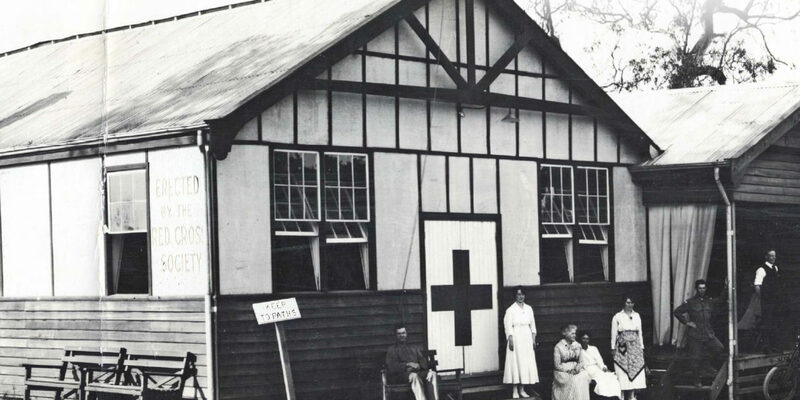 Recognising the necessity for the Curative Training for partially incapacitated returned soldiers, the Australian Branch of the British Red Cross Society undertook to work under military supervision at the No 16 Australian General Hospital, Macleod. 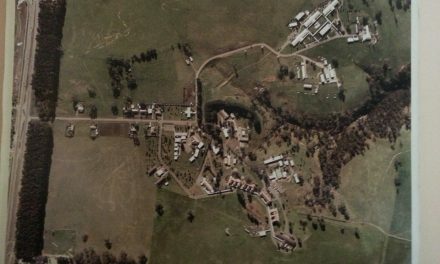 To bring fresh interest to the lives of the men who had passed through the horrors of war, the Defence Department agreed to provide necessary buildings, and erected 3 workshops, also poultry pens, and supplied portion of the equipment required for curative training. No man was permitted to work in a curative workshop without the consent of the Medical Officer, and no man was allowed to undertake work beyond his physical capabilities. One of the many classes provided was wood working where men worked under supervision making a variety of wooden articles including bookstands, picture frames and wooden spoons. They were shown ways of how to adapt themselves to their physical limitations. Many useful articles such as petrol funnels, ash trays and scoops were made by the plumbing and sheet metal workers. An instructor in leather work taught boot and harness making and manufactured leather splints. One of the most successful branches of curative work was poultry farming. Four hundred birds were penned and an incubator was used in the instruction of the principles of hatching and rearing chickens. Soldiers went on to construct perches and feed troughs. A small army of workmen were engaged in laying out and beautifying the extensive grounds, including a lake, lawns, avenues and shrubbery flower plots under the leadership of Head Gardener Hugh Linaker. This was pleasing to the eye but also calculated to promote bodily and mental health to the patients. Hugh Linaker had been appointed as Head Gardener at Mont Park in April 1912, and supervised the planning of the orchards in 1915. Record crops of vegetables were being harvested in the gardens, making the hospital self-sufficient in fresh food. Soldiers worked at the plant nursery and were shown the skills of propagating, planting and potting, and although their hands were twisted by injuries from their experiences in the war, this work provided pleasure and instruction. An historically significant Avenue of Honour, in memory of their fallen comrades, was planted with sugar gums along Cherry Street. Classes were also established for the teaching of engineering, photography, blacksmithing, printing, book binding, motor mechanics, telegraphy, draughtsmanship drawings and wool classing, and sea grass weaving. Families of the soldiers, friends, and local residents readily agreed to support activities for the men to relieve the monotony of hospital life. Generous residents in the district provided horses and this was followed by the loan of harness and vehicles. An appeal was made for packs of cards, chessboards, quoits, a gramophone and records and also a piano. The Red Cross Volunteer Motor Corps requested car owners to assist in taking convalescent soldiers on a day trip to Healesville. The Lawn Tennis Association of Victoria raised funds for an asphalt court for the pleasure of soldiers at Mont Park Military Hospital, and a cricket ground and croquet lawn were later established nearby. 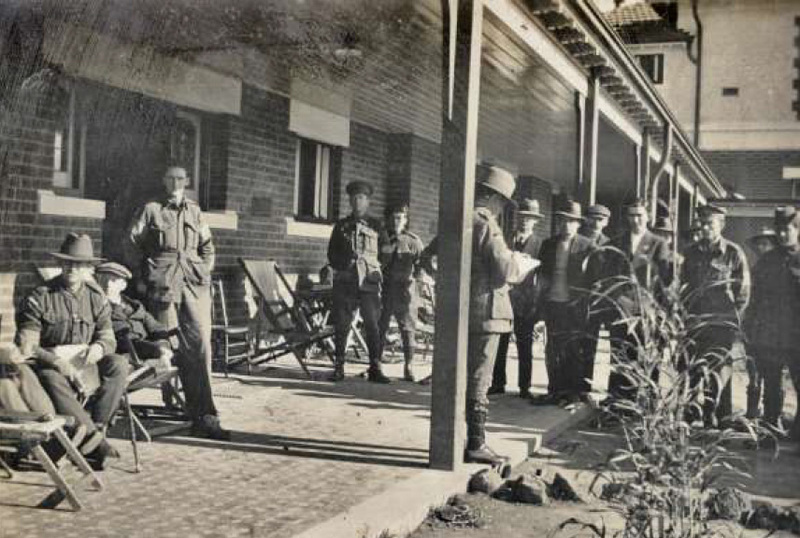 For amusement, the League of Soldiers Friends (Surrey Hills Branch), put on a concert at Mont Park Military Hospital with cigarettes and sweets handed around. There were many suggestions to brighten the daily life of the soldiers including having arrangements of cut flowers in the wards. The Commissioners of Railways consented to carry free of charge, all cut flowers to the railway station of Macleod for the Military Hospital Mont Park “…. fresh flowers are much prized by our sick and wounded soldiers at the hospital …. most persons will be pleased to help to solace our men in the hospital by means of fresh and beautiful blooms”. After convalescence and with the restoration of the soldier’s health, repatriation arrangements were being made for the soldiers to re-enter the civilian work force. The Red Cross Society appealed for ladies and gentlemen willing to give voluntary service in teaching shorthand, typewriting and book-keeping to returned invalid soldiers. The War Council was experiencing some difficulty in acquiring small businesses for returned soldiers who were unable to follow their former vocation. Suggestions were for the purchase of greengrocery, milk bar or similar small businesses, but many repatriation trustees declined to allow the uses of public funds for this purpose. In connection with the repatriation policy, it was suggested to the Minister of Forests by Mr. J Cameron M.L.A. that saw- mills should be established in suitable areas for the employment of returned soldiers. Returned servicemen did receive some special considerations to get themselves back on their feet. The State Savings Bank offered special terms for loans on house and farm properties for discharged soldiers and their dependants. Menswear and other retail businesses offered 10% discount off marked prices for returned men. This assisted in re-establishing a normal life again, after brave young men returned from doing their duty for their country.